Typically in California DUI cases, the state launches a criminal prosecution, and in a separate, non-criminal procedure, the suspect’s drivers’ license is suspended. Both ways, the defendant is punished, and it’s not double jeopardy. In fact, if you injure someone while driving under the influence, you could be sued in civil court and punished in three different ways. With so many potential legal consequences, it’s imperative to have the advice and representation of an experienced Orange County DWI defense attorney if you’re charged with DWI anywhere in southern California. The conventional interpretation of the law in California is that two or three legal procedures do not constitute double jeopardy provided that only one is a “criminal” procedure. The suspension of your driving privilege may be punishment, but the courts do not consider it criminal punishment. 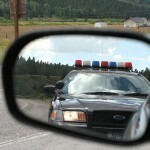 Moreover, license suspension is automatic unless you request a hearing within ten days of your DWI arrest. The various procedures that you’ll face when charged with DUI may not be double jeopardy, but you’ll need a good DUI defense attorney who can work double duty, fighting for your license before the DMV and representing you in criminal court too. DUI is treated as a serious charge in this state, and although double jeopardy may not work as a defense, you are nevertheless going to need the experienced counsel of a DWI lawyer who will answer your questions and fight for justice on your behalf. If you face a DUI charge in southern California, do not try to act as your own attorney, do not plead guilty, and don’t forget that you have only ten days to act or your license will be suspended. Call an experienced Orange County DDWI I defense attorney as quickly as possible, and get the trustworthy defense representation that you are very much going to need.